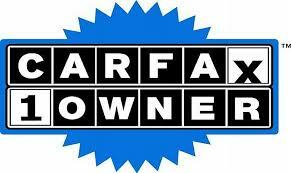 CARFAX 1-Owner, Nissan Certified, Excellent Condition. JUST REPRICED FROM $19,988, FUEL EFFICIENT 32 MPG Hwy/22 MPG City!, PRICED TO MOVE $2,500 below Kelley Blue Book! Moonroof, Heated Leather Seats, Navigation, Satellite Radio CLICK NOW! Leather Seats, Navigation, Sunroof, Heated Driver Seat, Back-Up Camera, Premium Sound System, Satellite Radio, iPod/MP3 Input, Aluminum Wheels, Dual Zone A/C, Smart Device Integration, Blind Spot Monitor, Cross-Traffic Alert, Heated Seats, Heated Leather Seats. MP3 Player, Remote Trunk Release, Keyless Entry, Steering Wheel Controls, Child Safety Locks. 3.5 TECHNOLOGY PACKAGE NissanConnect Services, automatic collision notification, remote startvia smartphone, emergency call, stolen vehicle locator, and dealer service scheduling and maintenance alerts, Predictive Forward Collision Warning (PFCW), Forward Emergency Braking (FEB), Intelligent Cruise Control (ICC). Nissan 3.5 SL with Pearl White exterior and Beige interior features a V6 Cylinder Engine with 270 HP at 6400 RPM*. Maintenance up to Date. Edmunds.com's review says "The CVT is more responsive when you press on the gas pedal compared to its competitors, and the simulated stepped gears reduce some of the engine drone that others suffer from.". Great Gas Mileage: 32 MPG Hwy. Was $19,988. This Altima is priced $2,500 below Kelley Blue Book.